So you’re ready to change your body with exercise, and you’ve chosen HEAT as your venue through which you will sculpt your new physique. For many of you, “leaning out” is your goal. For others, “bulking up” is the prize at the end of the 90-day challenge. Either way, you’re going to need some muscle to get the job done. Enter hypertrophy. Hypertrophy means the growth in size of organs or tissues in the body, but we as exercise scientists typically focus on the growth of only one type of tissue: muscle. For both of the aforementioned goals, achieving a maximal amount of growth in your muscular tissue will result in the greatest transformation that your body can produce. Hypertrophy is achieved through two methods: load and volume. Load refers to the amount of weight that one is using during a given exercise, and volume refers to the amount of work performed during a given set, workout, or training week. For most individuals, the hypertrophic work zone with regards to repetitions in a single set of an exercise will be between 8 and 10, sometimes even 12, repetitions. “Great,” you say. “That means I only have to do 8-10 reps of an exercise and I’ll be Lou Ferrigno in a few weeks.” Sorry, but no. 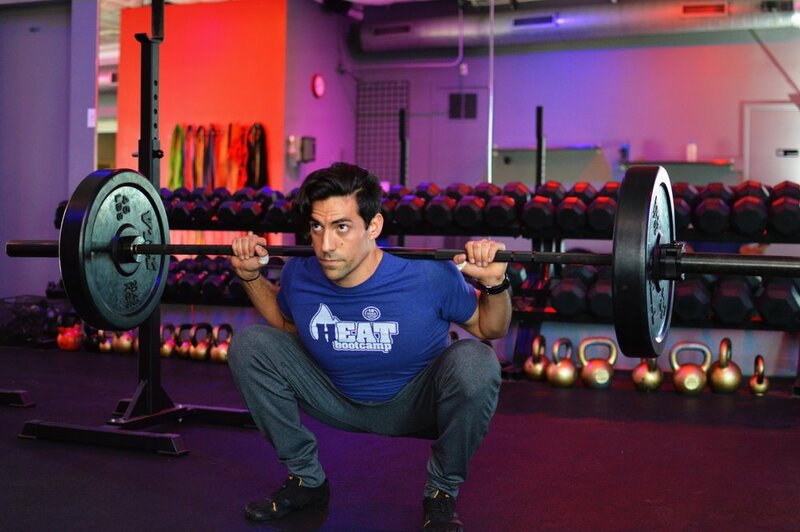 As I mentioned before, load is a high priority in your workout strategy. In order to load your muscles properly, you should choose a weight with which you can perform 8-10 reps with good form, but not 12 or more with good form. This is a very important distinction, so re-read that statement. Weights that are light enough for you to perform 15 or more reps with good form will not elicit a hypertrophic response from the body but rather one for muscular endurance, and weights that are too heavy will better the neural adaptations associated with heavy lifting rather than demand an increase in muscle size. Also of high priority is volume, or how much and how often you choose to exercise. Unfortunately, this is where our discussion will become a bit hazy as volume depends almost solely on individual differences. For example, one athlete may state that they’re performing 5 sets of 10 reps on squats, deadlifts, leg press, and Romanian deadlift 3 days out of the week. If they’re not simply being hyperbolic or trying to intimidate you with falsehoods, then they’re performing 600 reps per week with loads that should be difficult to perform even 10 times with good form. WOW! Maybe your friend IS Lou Ferrigno. For most of us, that amount of volume is simply too great from which to recover. However, working out just one time per week, even very intensely, will likely not drive your body to build a great deal of muscle, if any. Thus, your job over the next 6 weeks-7 weeks of Phase I will be to find that tipping point i.e. increase the sets that you perform of each exercise and/or the number of workouts you perform in a week until you find that you’re bordering on full recovery between workouts. Again, re-read that statement. “OK Cody. I’m going to heed your advice and keep myself in the 8-10 rep range, and I’m going keep my workout volume high enough to break down my muscles but low enough so that I can recover fully between workouts and build as much muscle as possible in the next 6 weeks.” Good job! However, you’ve still got one more thing to consider, and the title of today’s blog post comes from this principal. You must progressively overload your muscles. 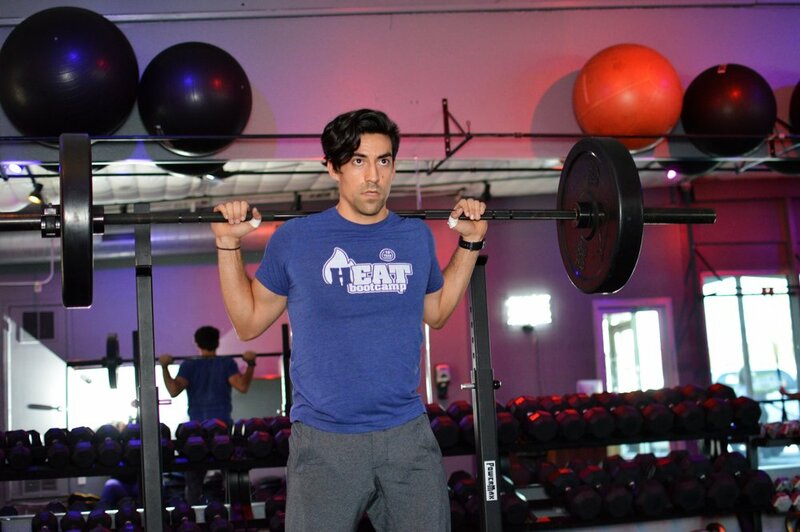 Progressive overload is the most important factor in any type of training cycle, hypertrophy included, and it can make up for what your program make lack in volume or intensity. Let’s face it, not all of us have the time to get to the gym 5 days per week. By progressively overloading your muscles, or loading exercises heavier than the previous week, you will drive your body to adapt to the heavier weights. This means getting bigger muscles! This also means that you must progressively workout harder in order to get better. So, if your coach has you perform 5 sets of 10 reps in Goblet squats with a 30# dumbbell, use a 35# dumbbell for the same work next week. The same weight should become easier from week to week if you’re training effectively and increasing your muscle’s size, so make incremental increases in your weights from week to week to help continually stimulate hypertrophic adaptations. Complex stuff, right? Luckily, you’ve got some great coaches at work for you making sure that your body receives the demands necessary to get better, leaner, and buffer. See you all in camp, and check back in another 6 weeks for Phase II - Strength and Cutting.